In October 2011, the Rena, a shipping container, ran aground off the coast of Tauranga, and leaked oil. 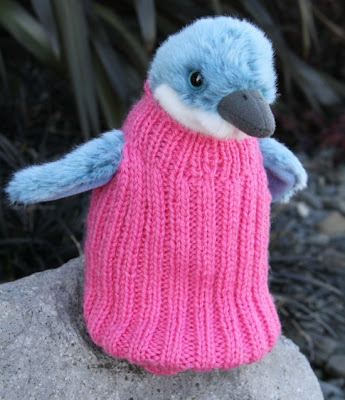 You may have seen the calls that went out to knitters for hand knit tiny little jumpers to help the New Zealand Little Blue Penguins who were being harmed by the oil. The good folk over at Skeinz, my local yarn store, organized the collection of donated jumpers. Little did they know how many jumpers they would be getting. They started pouring in from all over the world, and in the meantime they were told by the Wildlife Rescue Centre that they were all set for penguin jumpers. But the donated jumpers kept coming! 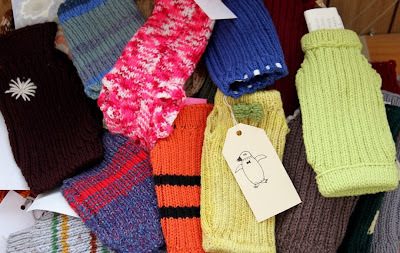 So in an effort to take all this penguin good will and make sure it actually helps penguins, Skeinz is now selling the penguin jumpers, stuffed toy penguins, T-shirts and yarn, with proceeds going to their Penguin Rescue Fund. How cute are they?! And what an amazing response.